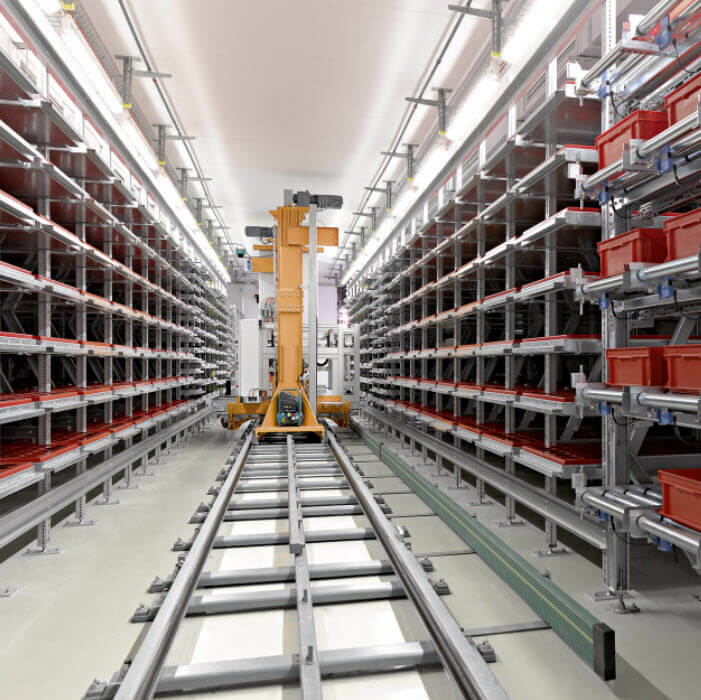 AS/RS, automated storage and retrieval systems, are designed to place items in a particular spot then find them when they are needed to produce, assemble or distribute a product. These systems are used when multiple pallets need to be moved in and out of storage quickly, efficiently and accurately. They are also helpful and cost effective when storage space is at a premium. Many industries use AS/RS including manufacturers, distribution centers and mailing facilities. VAHLE offers dependable solutions for your AS/RS needs including conductor bar systems for power, SMG for data communication and APOS, an absolute position system that tells you where an item is located. We offer over 100 years of knowledge and expertise to ensure your AS/RS is up and running when needed.